Being a street musician is a rough. Sometimes street musicians are playing in extremely hot or cold conditions without barely enough money in their pocket to afford a meal and some water. Not only that, but sitting (or standing) on the sidewalk and playing for long periods puts kinks in your neck and cramps on your back and fingers. And finding a real audience can be the hardest part of it all. 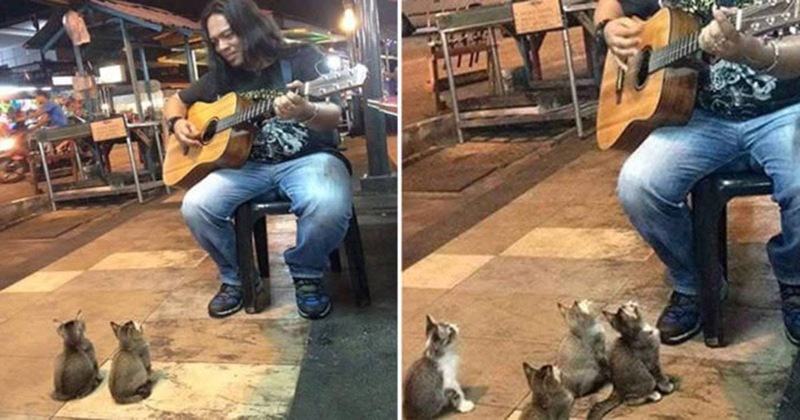 On the streets of Malaysia, a performer was about to call it quits when he realized someone extraordinary was paying special attention to his show. It was not an audience member he ever experienced before! Watch their reaction when he plays! SHARE with all your family and friends on Facebook!